Photographs provided by Sandra Martin. 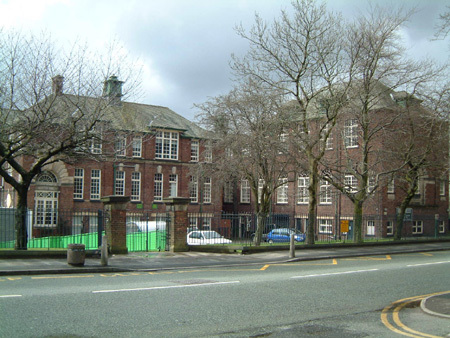 Although Ashton Grammar was a co-educational school, the left entrance was for girls and the right for boys. The central block included the Assembly Hall, Gymnasium and Music room.